Dozens of Israeli soldiers invaded, Sunday, Yatta town, south of Hebron, in the southern part of the occupied West Bank, and handed a family of a detainee, accused of killing an armed settler, a military order for the demolition of their home. 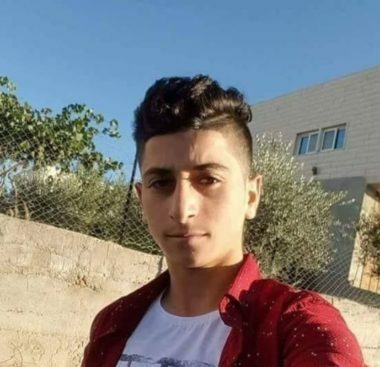 The demolition order was signed and approved by the “Central Command” of the Israeli army, targeting the family home of Khalil Yousef Jabarin, 17, located on the third floor of a three-story building. The family was also informed it has until January 2nd, 2019, to appeal against the demolition order before Israeli military courts. 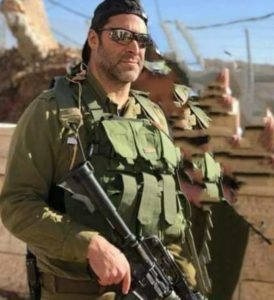 The Palestinian is accused of killing an armed Israeli settler, identified as Ari Fuld, 40, at the entrance of a mall near Gush Etzion colony, in the southern part of the occupied West Bank. Home demolition policy, enacted by Israel against the Palestinians is an illegal act of collective punishment, targeting entire families, in direct violation of International Law. While Israel demolished the homes of Palestinians accused or convicted of killing Israelis, including soldiers and settlers, it does not close or demolish the homes of Israelis involved in fatal attacks against the Palestinians. The Israeli Information Center for Human Rights in the Occupied Territories (B’Tselem), said that the punitive demolition of Palestinian homes inflicts suffering of entire families, including women, children and the elderly, even though they are not involved in offenses against Israelis. It added that, while Israel claims its home demolition policy is meant as “deterrence,” the actual result on the ground has never been proven. B’Tselem also said that this policy constituted deliberate harm on innocent civilians, and added that even if the demolitions had the claimed deterrence impact, it remains unlawful.